Paul Krugman, Nobel Prize-winning economist and columnist for The New York Times, will deliver the annual Philip Gamble Memorial Lecture at the University of Massachusetts Amherst Thursday, Oct. 26, at 6 p.m. at the William D. Mullins Center, according to the University. The short answer is that he is what is wrong with economics. His politicized Keynesian economics with his high profile perch at NYT throws out more nonsense per column inch than has ever been done before--ever. The event is free and open to the public. Which is not a surprise, who would pay to listen to this guy? The free tickets are available at the Mullins Center box office starting Monday, Sept. 18. Tickets will also be available online at www.MullinsCenter.com. Parking for the event will be $10 per vehicle, and will be cash only. The speech is sponsored by the UMass Amherst department of economics as part of The Philip Gamble Memorial Lectureship Endowment which was established by alumnus Israel Rogosa and other family and friends in memory of Philip Gamble, a member of the UMass economics faculty from 1935-71 and chair of the department from 1942-65. The fund supports an annual lecture series featuring a prominent economist since its inauguration in 1995. 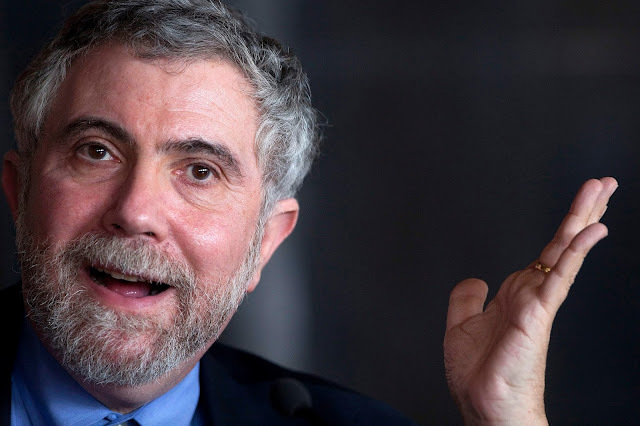 Gamble lecturers have included an assorted group of lefty, central planning- leaning speakers, among them: Federal Reserve Chair Janet Yellen, former U.S. Secretary of Labor Robert Reich and former U.S. Ambassador to India and Presidential Medal of Freedom recipient John Kenneth Galbraith. Put these people all in charge of a country simultaneously and Venezuela would look like Disneyland. Isn't Disneyland a quite profitable private enterprise? With these characters at the helm Venezuela would look like.... Venezuela.